View our boat rental partners in the Marathon and Key Colony Beach area of the Florida Keys. Visit the friendly folks at A Deep Blue dive right on Sadowski Causway next to Sparkys Landing. 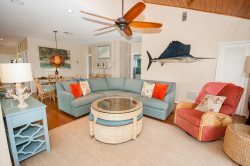 Tell them Coco Plum Vacation Rentals sent you over. They have a nice fleet of well kept boats to chose from.